ARRINGTON, VA – “Magic is what we do, Music is how we do it,” Jerry Garcia once told an interviewer. 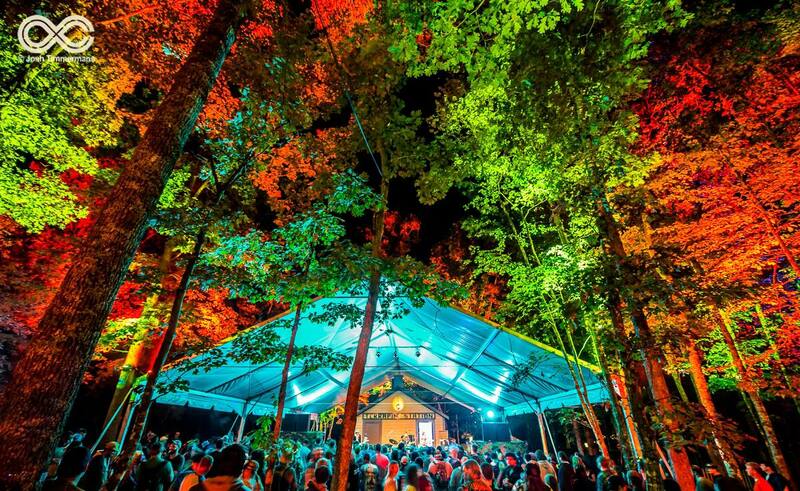 Had the Grateful Dead frontman been around to see the fantastical transformation of his namesake forest at the recent LOCKN’ Festival, he undoubtedly would have agreed that there can be quite a bit of magic involved in lighting too. 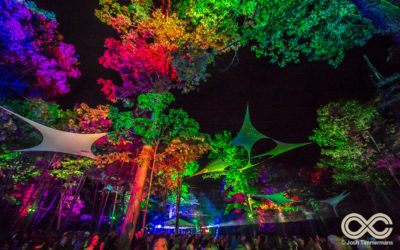 Transforming a forest with light and riding around high among the trees… Sounds like the kind of magical experience that Jerry Garcia himself would have enjoyed. Designers often talk about creating an “immersive environment” with their on-stage light show. S Jeremy Peters of SJP Productions takes this a step further by routinely extending his designs to off-stage elements. 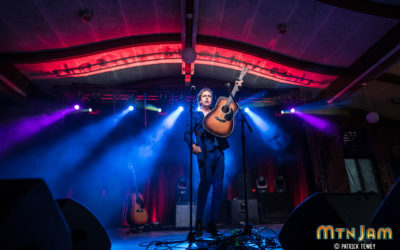 Emerging artists are given star treatment thanks to an eye-popping lightshow on The Bud Light Stage that S. Jeremy Peters designed with CHAUVET fixtures and controlled by ChamSys. 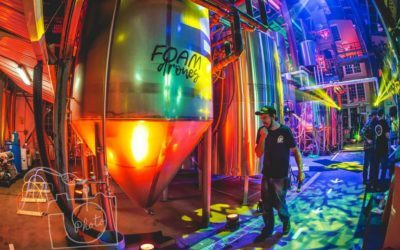 Hooking up with a local brewery, SJP created one of the first spectator-oriented drone racing events, complete with festival-like lighting, atmospherics and live video feeds.